A humble establishment with not more than three or four cooks at a given point of time, Madinah near Poona College, Camp, serves delectable greasy food for shockingly affordable price. For the love of biryani and kebabs. Frankly, Madinah is not at all about fancy interiors or ambience or presentation. So if it’s your cheat day, tag the gang and head to Madinah for some soulful food. The prices are dirt cheap. 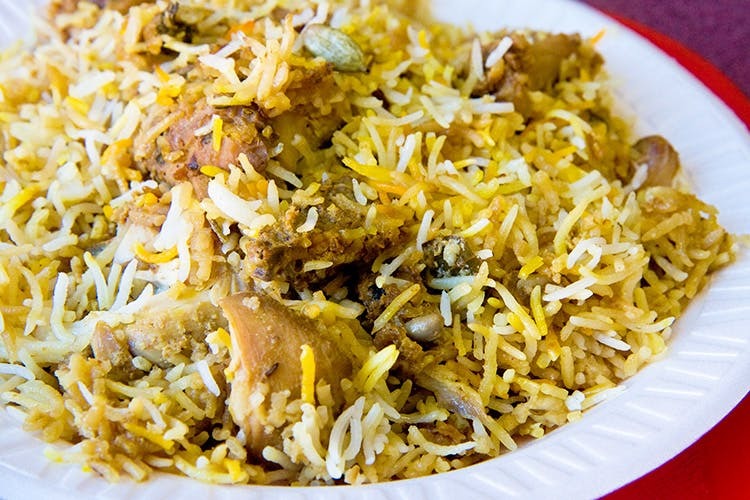 A full plate of Mutton Biryani is for INR 180 and will comfortably serve two adults. The Keema Kebaba for INR 90 is a must try! If you’re a big beef fan, Madinah is the place to be! From beef fry to beef pahadi to beef mughlai, all the dishes are cooked to perfection and are less than INR 100 a plate. Since there’s hardly any place to stand or sit, it’s advisable to pack the food.